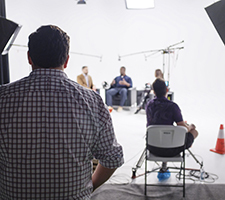 "Your Mind, Your Body, Your Health" is here to provide the members of our extended NFLPA family with the tools needed to achieve a healthy lifestyle, both physically and mentally. 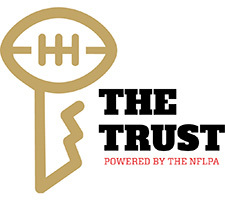 This unique community encourages an open dialogue on pressing issues in the sports industry, including CTE, concussions and mental health. 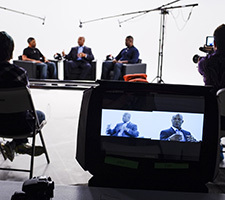 By debunking common myths and providing a platform to tell real stories, we aim to equip our current and former members and their families with the knowledge needed to tackle tough subjects in the world of sports. 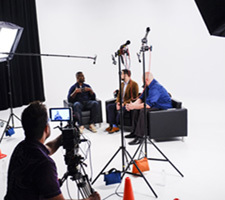 We hope to connect you with resources that will empower you and your family to live the healthiest life possible. If you believe you or someone you know is & experiencing any of the following issues, click below to learn more. MYTH:People who suffer from anxiety are weak. FACT:Anxiety is an adaptive emotion that most of us experience, and anxiety disorders can happen to anyone. Causes can include genetics, irrational thoughts, and environmental stressors, among others. Too often, anxiety symptoms such as increased heart rate, loss of breath, shaking hands, muscle tension, and concentration difficulties are brushed off as not a big deal. However, left unchecked, anxiety can contribute to additional issues, including depression and substance abuse. MYTH:Fear and anxiety are the same thing. FACT:While anxiety can sometimes be a result of fear, they are not the same. Fear is typically the psychological and physiological response to a real threat or danger. In contrast, anxiety is most often the result of a perceived threat or the apprehension of danger. In other words, there may not be a real threat present, but someone who suffers from anxiety is responding as if there is something dangerous looming. MYTH: Depression is not a "real illness", and people with depression can "just get over it." FACT:While about half of the people who suffer from Major Depressive Disorder will come out of their depression without formal treatment, lack of treatment increases the likelihood of future depressive episodes. Also, keep in mind that UNTREATED DEPRESSION is the greatest contributing factor for suicide. MYTH:If you start taking medication, you will have to take them for the rest of your life. FACT:While antidepressants are often an effective part of treatment for depression, it is not something that you have to do forever. A good psychiatrist is important in making sure that someone experiencing depression is provided the type of medication and the dosage that is most effective for them. Medication should never be the ONLY form of treatment. A combination of medication and counseling is often considered the most effective treatment for depression. Open and honest communication about improvements in mood, concerns, and potential side effects with a medical professional is important. MYTH: Men don't attempt or commit suicide. FACT:Anyone is capable of attempting or committing suicide. Women are four times more likely to attempt suicide than men, but men are almost four times more likely to commit suicide than women. You would be surprised to know that rates of suicide among African American men, particularly between the ages of 18-25, have increased almost 200% in the last 10 years. MYTH:If someone has thoughts of suicide once, they will always have those thoughts. FACT:Suicidal thoughts are a result of a sense of hopelessness. With hope and help, you will not always feel this way. If someone experiences thoughts of suicide and is able to get help, they are likely to not consider suicide again. As the 11th leading cause of death, suicide occurs approximately once every 12.3 minutes. 16% of the population meets the criteria for depression at some point in their lives. Anxiety, when it occurs too frequently, becomes problematic and it is helpful to seek support. 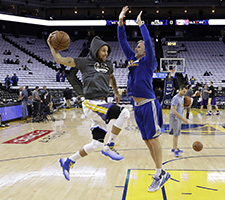 Steph Curry appears in eye-popping ad to promote mental health and wellness campaign. 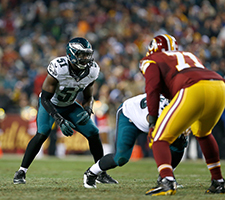 Emmanuel Acho, linebacker, discusses mental health awareness. 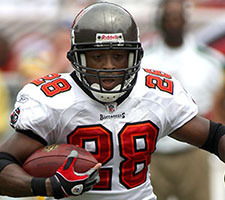 Warrick Dunn works to end the stigma of mental health. 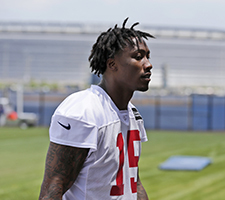 Brandon Marshall discusses the stigma associated with mental illness and the NFL. Let's talk Suicide. September is Suicide Prevention Month. We #NeedYouHere. 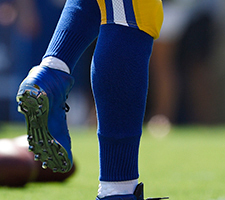 The PAF assists active players transition from their playing career. 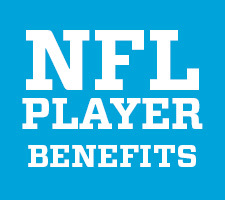 Provide resources and benefits to former NFL players. An organization that empowers students to speak openly about mental health.